Darwin’s theory of natural selection generated debate, then Gregor Mendel’s experiments with green peas provided the foundation for genetic research. Thereafter, biologists were faced with the conundrum of reconciling Mendelian inheritance with Darwin’s theory. Influential Ukrainian-born geneticist Theodosius Dobzhansky provided the linkage in his “modern synthesis.” In his first significant studies in 1924, he noted geographic variations in the color and spot pattern in ladybugs, which he attributed to genetic variation resulting from an evolutionary process. 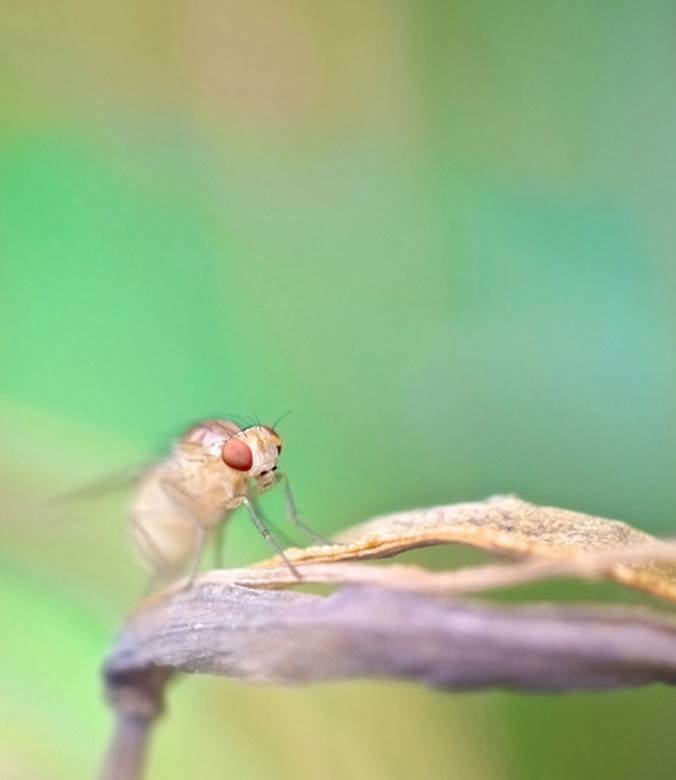 Based on their laboratory studies, most biologists had assumed that all members of a given species of Drosophila, the fruit fly, had essentially identical genes. Starting in the early 1930s, Dobzhansky devoted virtually the remainder of his professional career to studying the genetic characteristics of the fruit fly, both in the laboratory and in the field. In the controlled conditions of a laboratory, mutations producing genetic variations could be readily induced, and these flies would successfully breed. Might the same phenomenon occur in nature? In the field Dobzhansky used population cages, which permitted feeding, breeding, and sampling, while preventing escape. His analysis of the chromosomes of different populations of wild fruit flies from various locations revealed that different versions of the same chromosomes predominated, creating new species, which he explained on the basis of mutations. Spontaneous genetic mutations occur naturally all the time, and many of these are neutral—that is, they do not confer either positive or negative effects on the organism. When the mutated organisms breed within a geographically isolated population, their genetic profile, containing the mutation, spreads within their population until it predominates, forming a new species by natural selection. Thus, Dobzhansky explained, genetic variation is a necessary condition for evolution to occur. In his classic 1937 book Genetics and the Origin of Species, Dobzhansky described these experiments and proposed a satisfactory explanation harmonizing natural selection with genetics. SEE ALSO: Darwin’s Theory of Natural Selection (1859), Mendelian Inheritance (1866), Genetics Rediscovered (1900), Genes on Chromosomes (1910). The common fruit fly (Drosophila melanogaster) has been a model organism for genetic research because it can be kept in large numbers, it is easy to handle, and it is very inexpensive. Fruit flies have a lifecycle of only two weeks, and its entire genome has been sequenced.